FIA (famished in Arabia) is a group of food bloggers, you can find links to their blogs by clicking on FIA tab. Visiting each site has become a morning ritual and it’s kinda good and bad for me – I end up hungry after each visit and my list of recipes to try has piled up. With a whole lot of recipes to try it’ll be a waste if they only end up printed and not created at all. That’s why I decided to try at least 1 recipe a month from FIA. 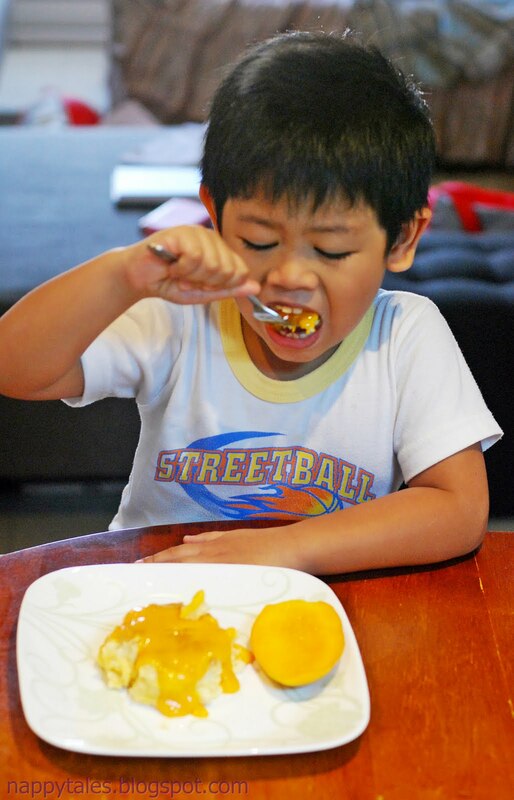 Summer = Mangoes! We went to Sharjah Market last weekend and bought a kilo of Mangoes from India and the guy insisted that “mangoes from India are the best madam” (I beg to disagree our Philippine Mango is the best!) I didn’t argue with the guy since I don’t have any Pinoy Mango with me for us to compare. I love mangoes be it green or yellow. It does not matter where it came from I just love them! I eat them as nature presented them. Wash. Slice. Eat. Then I saw MyCustardPie’s post and taught I should try eating my loves differently. 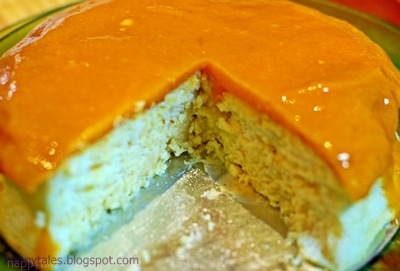 Blog hopping from one FIA to another suddenly made me crave for cheesecake and viola I remember reading a cheesecakeism recipe of Japanese Cheesecake. The recipe calls for cream of tartar but I didn’t have any, searching the internet for substitute suggested to use baking powder or just completely omit it and beat the eggs to medium peaks. 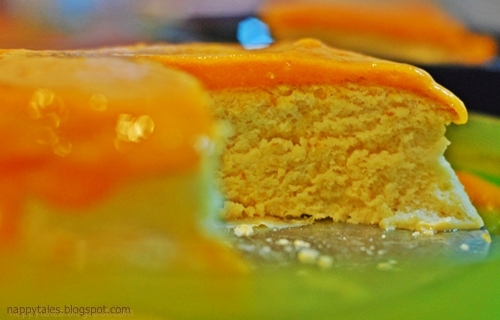 Next I googled Mango Japanese Cheesecake hoping to find one that does not use cream of tartar at all. I didn’t find any 😦 but found another recipe from The Dainty Baker and decided to adapt both recipes. This is my 2nd attempt in making my own cheesecake the first one was a disaster that only the trash enjoyed what I made. Will I ever make this again? The answer is YES! 1) Use boiling water for bain-marie. 2) Try using a different pan. See I use a spring form pan and it seems that some of the water from the bain-marie got inside cause when I was removing the cake from the pan water was dripping out which also made the bottom of the cake “watery”. Half of the cake fell on the sink. 3) Line pans with baking paper. I only sprayed them with Carlex. 4) Buy cream of tartar. The top part of my cheesecake shrink as it got to room temperature which I think has something to do with not using the cream. 5) Don’t let your son pour the mango glaze. We ate the cheesecake cold and it was YUMMY! My neighbor and V’s friends liked it as well. Awww, I'm loving the dedication to FIA ! I sort of do the same thing, a morning round up of all the blogs every few days of the week. Love your idea of trying 1 new recipe inspired by these awesome peeps every month, especially if it creates such fabulous results like your mango cheesecake! Looks so creamy and fruity, could do with a slice right now! You guys inspire me in so many ways, my little way of saying thank you! 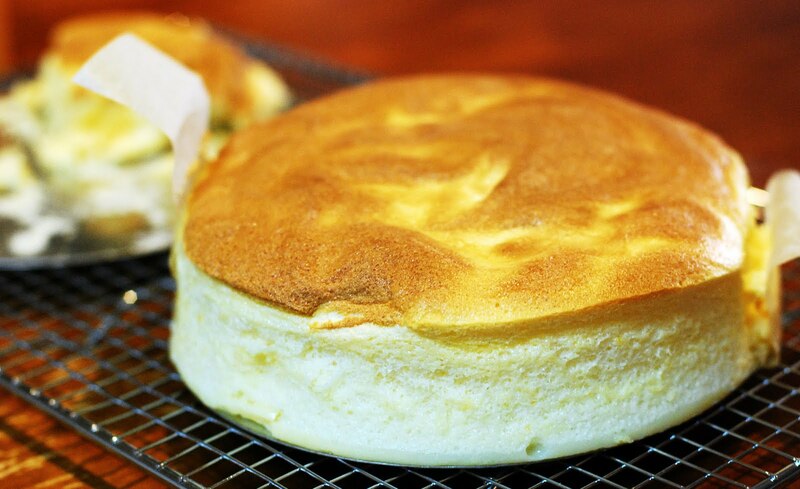 Thanks for the shout out – You've inspired me to make Japanes cheesecake. So light and fluffy. 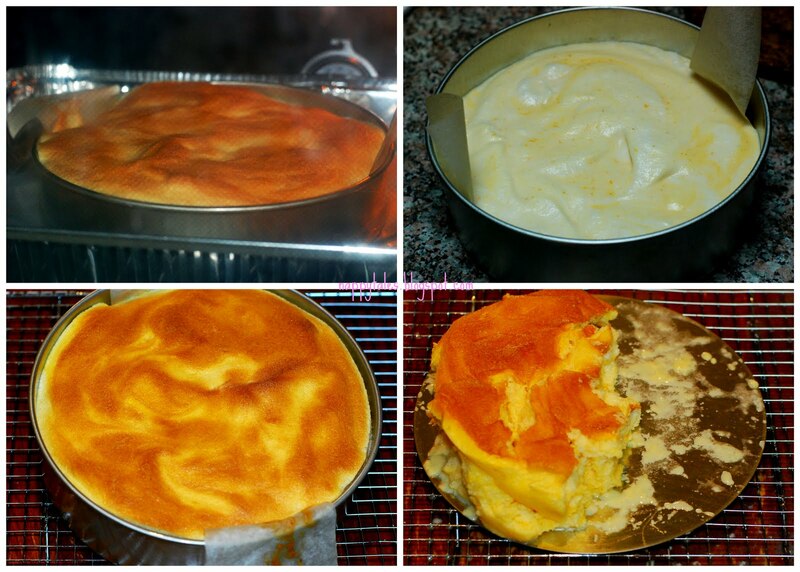 Thanks for sharing your fails as well as your successes – we all have them in the kitchen!